The oil and gas industry’s infrastructure requires constant monitoring and safety inspections — and the sheer vastness of these surveys is often immense. Consider, for example, pipeline systems that crisscross whole parts of the world. Close-up inspections of the pipelines are required for hundreds of thousands of miles, in some of the most remote and dangerous environments on earth. 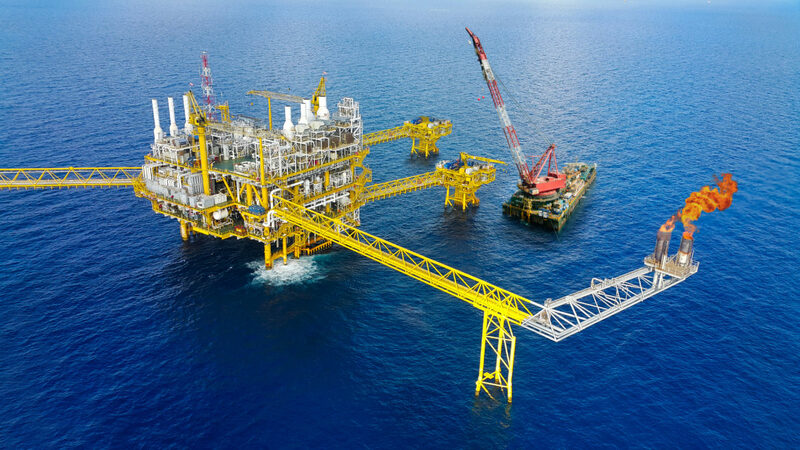 Oil and gas inspectors often risk their lives performing routine tasks, as inspection sites are commonly located in restrictive and remote locations. Plus, when equipment fails, it can do so in a violent and even deadly manner. The oil and gas industry is very profitable and no expense has been spared to try to get ahead of becoming the next headline. That’s where drones, also known as unmanned aerial systems (UAS), come in. The UAS world is evolving, with entire craft ecosystems designed to perform missions to make industry operations more efficient, safe and cost-effective. UAS are deployed to fly to hard to reach places, equipped with sensors that can see and smell what humans can not. These systems are cost-effective tools that oil and gas workers can use to regularly monitor infrastructure, identify potential problems, and prevent spills, leaks, and explosions from taking place. With UAS technology, oil rigs located in distant and hard to reach areas can be surveyed and managed more effectively without endangering site workers. UAS are equipped with a wide range of features making them very reliable resources in emergency situations. They can provide live video surveillance and identify impacted or damaged areas during an emergency leak or spill situation. Real-time imaging payloads can determine the direction a spill or leak is coming from. Aside from immediate emergency assistance, UAS can also provide recorded evidence of an incident, which becomes extremely useful at the time of investigations and legalities. The FlightWave Edge is a perfect UAS asset for oil and gas companies. The vehicle was designed for the hardship of maritime missions and excels at overland missions even at higher altitudes, FAA permitting. Longer flight times and amazing wind rejection allow the Edge to fly missions in the most dangerous and remote locations. Plus, FlightWave’s Edge offers a swappable payload system, enabling users to easily use various payloads to best fit a specific mission.